The American Association of Orthodontics recommends that a child be seen for an initial orthodontic evaluation by the age of 7. This comes as a surprise to most parents, because many children still have the majority of their baby teeth at this age. 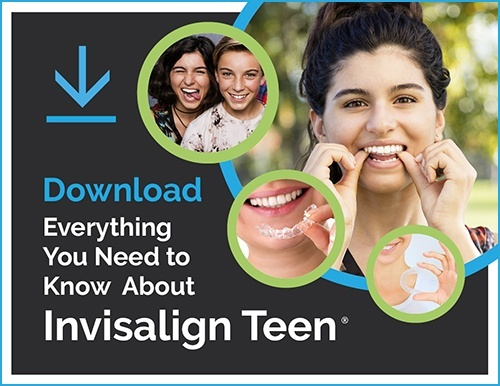 However, there are several issues that can be addressed at this point that can prepare the child for full braces or Invisalign once they have all of their adult teeth. Treatment given before all of the adult teeth have come in is called Phase I treatment. This treatment usually consists of an appliance, palatal expander, or a partial set of braces, and is done between the ages of 7 and 10. Phase I treatment can provide ample space for adult teeth (which can reduce the need to extract teeth later), encourage proper jaw growth, eliminate harmful habits like thumb-sucking, and increase your child’s self-esteem if they are embarrassed by their smile. Once Phase I is complete, any additional treatment needed won’t begin until the majority of your child’s adult teeth are in, around age 12 or 14. This is Phase II treatment, which is what most people picture when they think about orthodontics - pre-teens or teens wearing braces. Not all kids require two phases of treatment, but the only way to know for sure is to have them seen early by an orthodontist.